In order to master the concept of using promotional products to grow your business and brand name, you have to stay on up to date on the latest and greatest trending products. They can vary each month, which means it’s important to read up on the latest trends before you make any decisions. Doing so can help you truly make the most of your promotional marketing campaigns. This month features some excellent products to choose from. Choosing to invest in any of the promotional products below will make a big impact in your marketing efforts during the month of November and beyond. 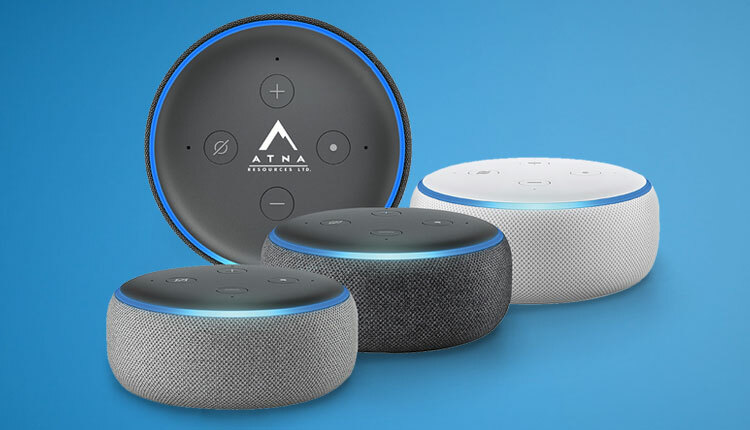 “Alexa, make my life easier.” This might be something you end up saying out loud to your Custom Amazon Echo Dot 3rd Generation. This product offers a unique voice-controlled experience that really can make your life easier in a variety of ways. You can ask Alexa to play music, answer questions, read you the news, check the weather, control smart home devices, and more. This is one of the hottest products on the market right now, and you can imprint your company’s brand name or logo directly on it! You might be wondering what exactly Custom Nuckees are. This is a product that has been making waves lately thanks to the fact that it dramatically improves the overall smartphone experience. A Nuckee is a small plastic device that you can attach to the back of your smartphone via an adhesive. It offers a secure grip while you are texting, taking photos, or talking. It also doubles as a phone stand so you can easily watch videos or FaceTime your friends. This is an ideal promotional product because it’s extremely useful and offers a large space for imprinting your brand name or logo. A roadside emergency can be a stressful time for anyone. This is particularly true if you don’t have the necessary tools. With the 9 Piece Highway Gift Set, you get everything you need to handle basic car troubles and quickly get your vehicle back on the road. This set comes with essential tools like jumper cables, a gas siphon, a tire gauge, and more. You can create loyal customers for life by saving them from their potential car troubles with this great promotional product. Virtual reality is becoming more prominent every single month. New technology is hitting the market that makes virtual reality applications and games even more realistic and intriguing. You can take advantage of this VR trend by investing in the Virtual Reality Headset with Headphones. It plugs directly into smartphones and allows people to enjoy virtual reality apps in maximum comfort. The fall months bring chilly weather into many of our lives, but the month of November is when temperatures start to get downright frigid. With the Knit Beanie with Leather Tag, you can help your customers and clients stay warm during the cold temperatures in November. One size fits all with this extremely comfortable beanie. Your customers will love receiving this stylish promotional product this winter. There are few gifts that offer universal appeal. Coffee mugs and caramel popcorn happen to be two of them. You can’t go wrong giving out the Mug and Caramel Popcorn Gift Box to your most loyal customers or you hard working employees. It’s one of our hottest products for November and is a great way to say thanks to your valued clients and customers. A cup of coffee and delicious popcorn during the cold weather of November is sure to bring a smile to your customer’s face. Another one of the hottest promotional products for November is the S’well 17oz Vacuum Insulated Stainless Steel Water Bottle. It can keep beverages cold for up to 24 hours or hot for up to 12 hours. That means you can help your valued customers enjoy warm beverages during the chilly November weather. This product is also great because it is BPA-free and helps people avoid using disposable plastic bottles. Keeping our smartphones charged is a real challenge. The more we use our phones, the quicker their batteries die. That’s why a product like the Mophie Powerstation Mini is so popular. It’s a mini power bank that can provide your phone with a power boost when you need it the most. It’s also small and easy to transport, which means taking it along while you are away from your home or office is quite convenient. These products are all trending upwards for the month of November. You can instantly improve your marketing approach by purchasing these products and including a special message along with your brand name or logo. Head over to the iPromo website today to start designing your next hit promotional product.